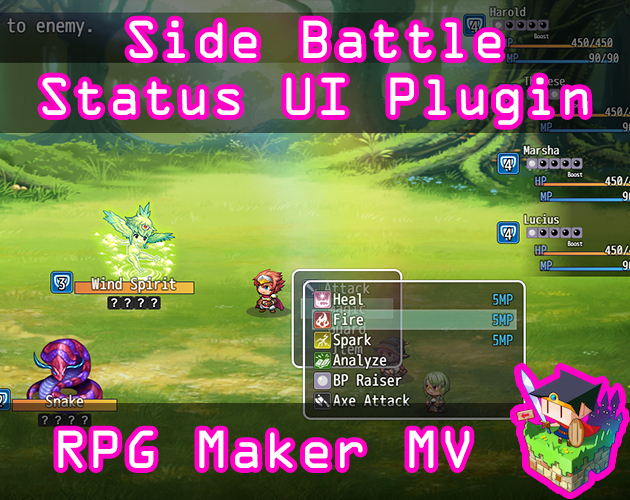 This is a RPG Maker MV plugin that changes the UI of the battle system to something more minimalistic. 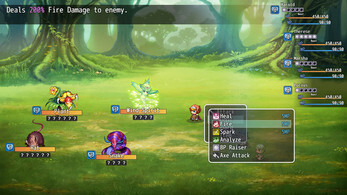 The menus are placed towards the player's party to let the player focus their attention to the center of the screen instead of to the lower ledges of the screen. 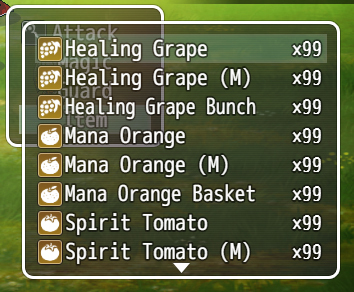 The status menu is also reworked to reduce the amount of lag produced by the game system. Without this plugin, RPG Maker MV's battle system produces a lot of lag and uses too many resources by constantly redrawing the status window every turn. This causes the game's FPS to drop a lot. This plugin changes the times needed to update the status window and only when it needs to do so. 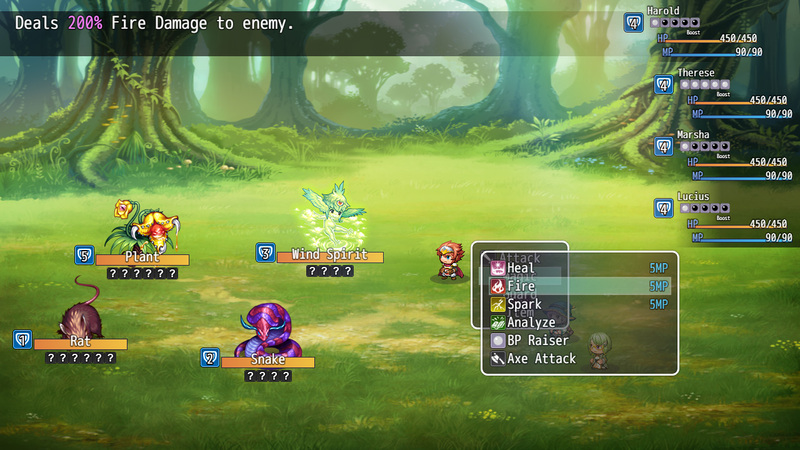 Plugin parameters can be changed to customize your battle's appearance. Please go over each one carefully. Position Actors: Position actor sprites on the screen using the formula below? This overrides the formula used in Yanfly's Battle Engine Core and Row Formation so turn this off if you want to use those settings instead. 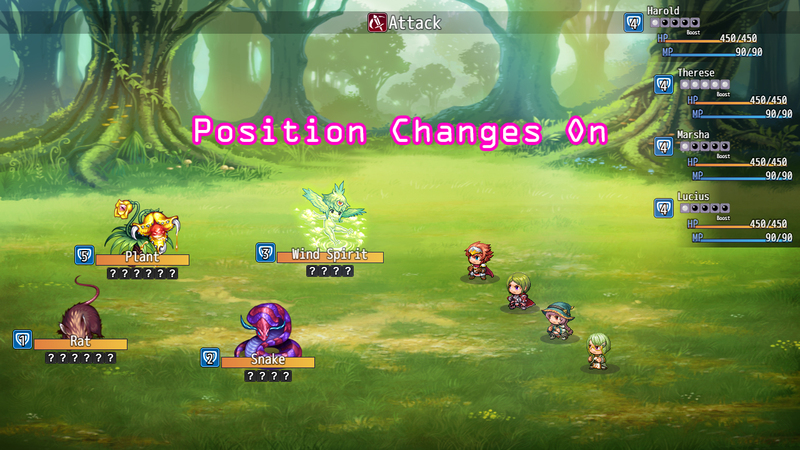 Position Enemies: Position enemy sprites on the screen using the formula below? This overrides the formula used in Yanfly's Core Engine and Row Formation so turn this off if you want to use those settings instead. Ceiling Distance: How many pixels from the top of the screen to leave as room for the status windows? Window Masking Effect: Enable or disable the window masking effect. By turning off masking, you also get weird of the strange clipping effects when windows are on top of each other. 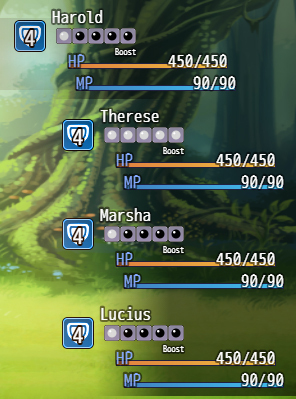 If you want to display TP in battle, please enable the Display TP in Battle checkbox in the Database's System tab. This is a new feature added in from the September 4, 2018 update of the plugin. Thank you, NightWaIker for alerting me of this forgotten feature. This plugin is NOT compatible with other plugins that change the battle status window because they are likely to overwrite each other. Sep 4 2018: Added in TP display if Database System tab has "Display TP in Battle" checked. Sep 16 2018: Added functionality to display more than 4 states.